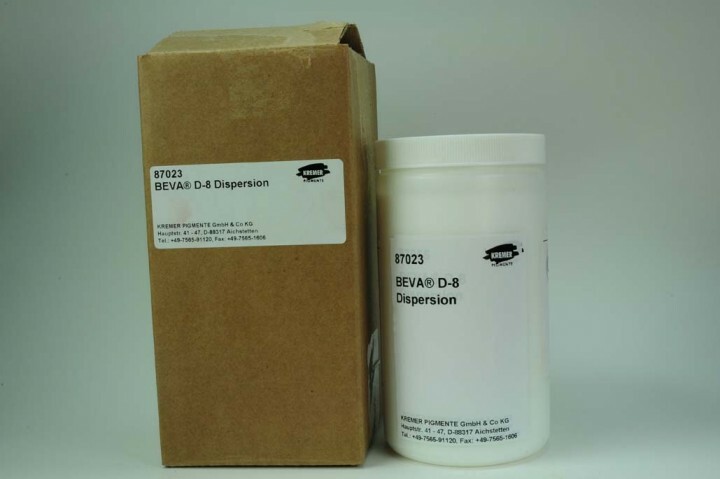 BEVA® D-8 Dispersion | Beva®-Products | Glues | Mediums, Binders & Glues | Kremer Pigments Inc.
BEVA® D-8 Dispersion mainly consists of an ethylene vinyl acetate emulsified by a volatile material which evaporates during drying, without leaving a residue. Application in dispersion permits the use of resins of still higher viscosity and greater flexibility than BEVA® 371. However, BEVA® D-8 requires more aromatic mixtures for removal than BEVA® 371. Dry film can be solved with toluole or xylol. Customer evaluation for "BEVA® D-8 Dispersion"